An interstate compact is an agreement among member states that addresses a common issue. 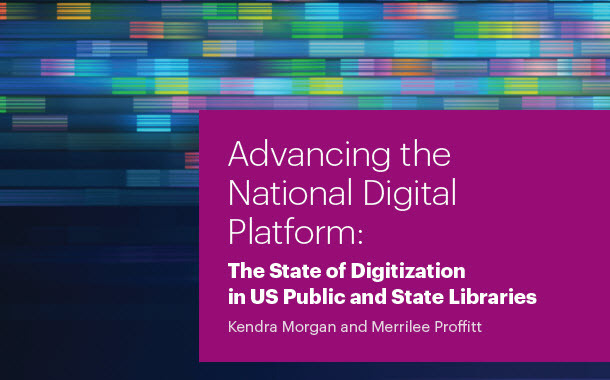 In the case of the Interstate Library Compact, the issue to solve was how to provide the best library services when the distribution of the population makes it more practical for a library to serve residents of another state. Indiana’s Union City Public Library serves the residents of Union City, Ind. Union City also extends into Ohio. However, Indiana’s library card law only allows the Union City Public Library to provide library cards to out of state residents when there is an interstate compact agreement in place. Otherwise, Indiana libraries may only provide library cards to Indiana residents, and they must charge for the cards if the Indiana residents are not part of the library’s tax district. Indiana’s Union City Public Library is the closest public library for Union City, Ohio residents. However, without an interstate compact agreement, the Indiana library could not serve the Ohio patrons. The Interstate Library Compact establishes standards and procedures for providing library services on an interstate basis. States become part of the Interstate Library Compact by enacting legislation that mirrors the language of the compact. 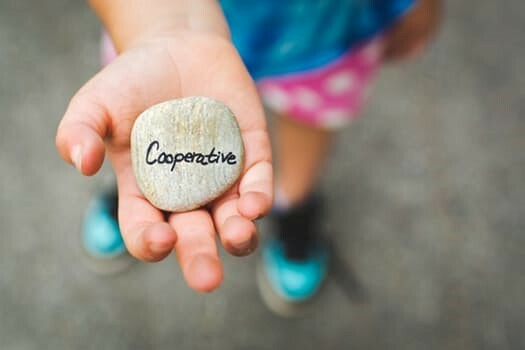 Then, member states, or public libraries within the member states, can enter into cooperative agreements with the libraries of other member states. According to the National Center for Interstate Compacts, there are 34 states that are a part of the Interstate Library Compact. See the list of member libraries who have chosen to enact the Interstate Library Compact into law. Indiana and our neighboring states Ohio, Illinois and Kentucky have all chosen to be part of the Interstate Library Compact. If you have questions about interstate compacts, please contact the Indiana State Library (317) 232-3675 or toll free at 1 (866) 683-0008. This blog post was written by Sylvia Watson, library law consultant and legal counsel, Indiana State Library. For more information, email Sylvia at sywatson@library.IN.gov. Well, kind of. Technically, Clifford the Big Red Dog lives on Birdwell Island with his best pal, Emily Elizabeth. However, his author and creator, Norman Bridwell, is from Indiana! Bridwell (1928-2016) was born in Kokomo. Before creating the famous big red dog, Mr. Bridwell attended Kokomo High School and John Herron School of Art in Indianapolis. “Clifford the Big Red Dog” was first published in 1963 and the series is still popular with children today! 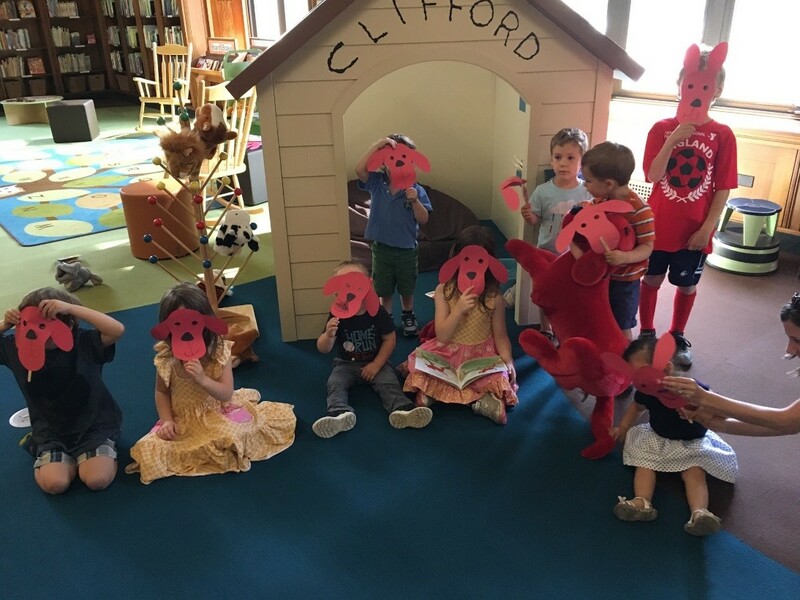 The Indiana State Library recently held a Saturday Storytime program, “All About Clifford,” in the Young Readers Center. Children enjoyed hearing several stories about Clifford the Big Red Dog and his adventures with Emily Elizabeth. They then made Clifford masks and enjoyed time in Clifford’s big doghouse. Each child in attendance received a free copy of “Clifford the Big Red Dog,” courtesy of the Indiana State Library Foundation. Clifford the Big Red Dog and his creator are featured in one of the exhibits in the Indiana Young Readers Center. 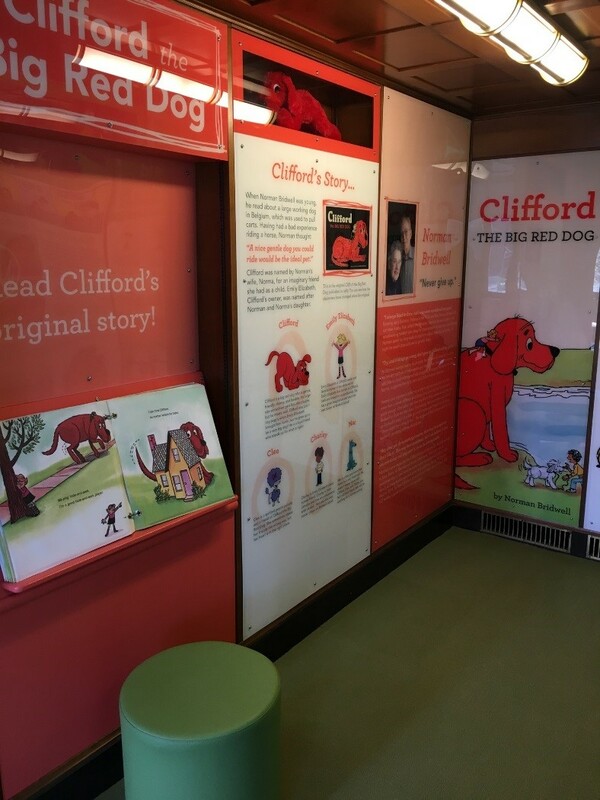 Visitors can read Clifford’s original story and learn more about the big red dog and his creator from Indiana! Many of Bridwell’s books can be found in the Young Readers Center and can be checked out with an Indiana State Library card or an Evergreen Indiana card. This blog post was written by Indiana Young Readers Center Librarian Christy Franzman. For more information on this post or the Indiana State Library, please call 317-232-3675. 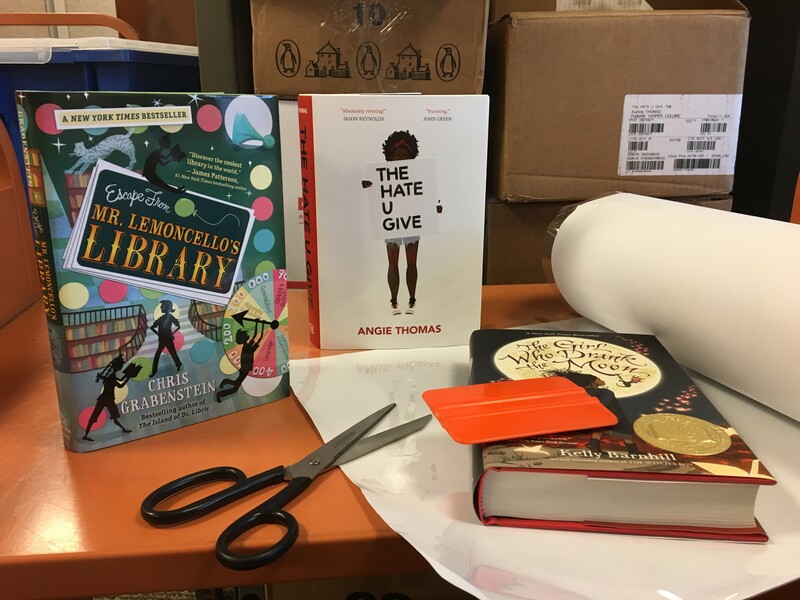 The Professional Development Office (PDO) of the Indiana State Library is thrilled to announce the addition of almost 20 new book club kits to their collection. PDO is looking for volunteers to help process these kits so they will be ready for fall circulation. Processing mainly consists of applying book covers. PDO welcomes volunteers from both public and school libraries and no experience is required. 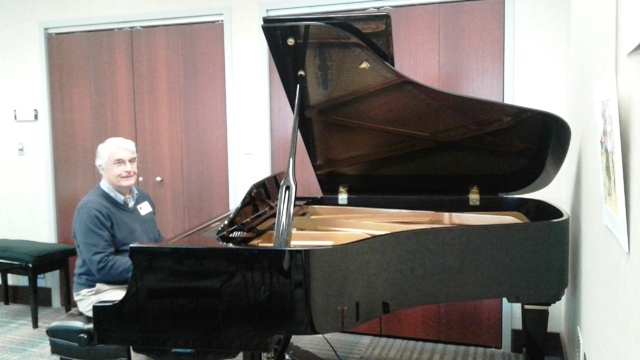 Two all-day sessions, on July 7 and July 27, will be offered. The all-day events include the processing party, a round table discussion eligible for one LEU, provided lunch, snacks and a tour of the state library. The July 7 round table topic will be: School & Public Library Partnerships/Book Clubs. Session is full. The July 27 round table topic will be: Summer Reading Wrap-Up/Back-to-School/Book Clubs. Register here. Parking is free. Contact Beth Yates, children’s consultant, via email or at (317) 234-5649 for more details. Fake news feels like a modern scourge of intellect, but it’s nothing new. One of the earliest fake news examples on record dates to the first century, when Octavian, the adopted son of Julius Caesar, smeared the reputation of Mark Antony for control of the Roman Empire. Octavian, better known today as Emperor Augustus, read a will of dubious authenticity aloud to the Roman Senate. In that will, Mark Antony would give Roman lands to his children with Egyptian ruler Cleopatra and asked to be buried in an Egyptian tomb in the manner of a pharaoh. While the accuracy of this document can never be proven at this point, the fallout from Octavian’s act destroyed Mark Antony’s career and indirectly led to both his and Cleopatra’s deaths. With over 2000 years of fake news, you would think that it would be easy to spot by now. However, judging from the current news climate coupled with reports such as this 18-month study with middle and high school students, it appears we as a society need to strengthen our ability to identify and fight fake news as we see it. Luckily, there’s a lot of things we can do. You’ll see fake news on the Facebook pages of many of your friends, but just because they believe it doesn’t mean it’s true. Even the smartest, most-educated people will make mistakes and post fake news sometimes. It’s up to you to sniff it out. Second, if you want to share something online, check it first. Let’s look at a claim like “Farmed salmon is bad for you.” The article that this claim is based on uses lots of inflammatory language, bright colors and statements meant to alarm you. But don’t be fooled. A quick Google search for “Is farmed salmon bad for you?” will turn up a link to the Washington State Department of Health which refutes virtually every claim in the other, negative article. If you look at the author of the negative article, you’ll learn that he’s not a doctor, dietitian or nutritionist, nor does he have a degree in any medical field. He’s an editor and CEO of a popular magazine, which gives him lots of publicity but no weight to his arguments. On the other hand, the Washington State Department of Health does not operate at a profit, employs scientists and provides excellent, credible sources for its claims in this article. Even though it’s wise to consider the safety of your food, bad information doesn’t help anyone. Third, if you accidentally post fake news – and everyone does – apologize and take it down from your feed. Some fake news outlets can look astonishingly like real ones (like this one) and you may not think you have time to verify what you’re reading. It’s always best to double check, however, to keep yourself well-informed. Where is it located? Good articles and videos come from good news sources. What’s a good news source? Look for ones with strong codes or standards of ethics (like this one or this one) that clearly state their responsibilities to their writers, their sources and their readers. If you can’t find a standard or code of ethics, you will probably want to consider another news source. Other good sources of information are academic journals (which Indiana residents can find using INspire, the state library’s gateway to digital information access) and nonpartisan research organizations. Who wrote it? Look up the author using Google or LinkedIn, a professional networking site. Real news is written by real journalists, and you can often find pertinent information about them like resumes/CVs, other articles they’ve written and any other qualifications they may have, such as additional education or certifications. How old is it? Information, like fish, has an expiration date. 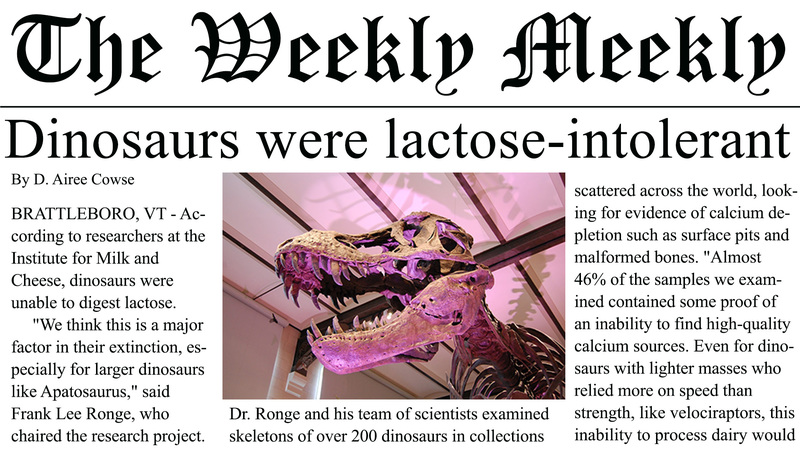 Very often, old news is repackaged as current and articles without dates should be doubly suspect. Old news might rehash incidents or disputes that have since been resolved, or make you angry over something that is no longer true or applicable. Why was it written or developed? 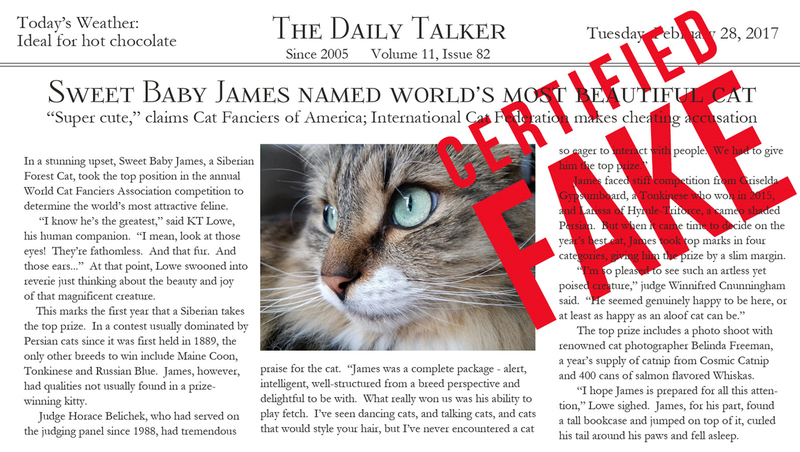 Fake news can be profitable – ask Jestin Coler, who registered a number of websites which produced fake news and made between $10,000 and $30,000 per month. Other reasons that fake news might be produced may be to sway political opinion, promote specific ideologies or beliefs or destroy a rival’s reputation. Fake news may be everywhere, but you are smart enough to fight it. In addition to the above advice, I have developed a Fake News LibGuide with tools, tips, websites and other resources for you to use. You deserve honest, accurate information and you have every right to be mad that fake news outlets are trying to dupe you. Fight back with real news and real information. If you get stuck or lost, remember that the library is always there to help. This blog post was written by KT Lowe, coordinator of library instruction and service learning at Indiana University East. You are welcome to contact her at lowekat@iu.edu or visit her on Facebook. 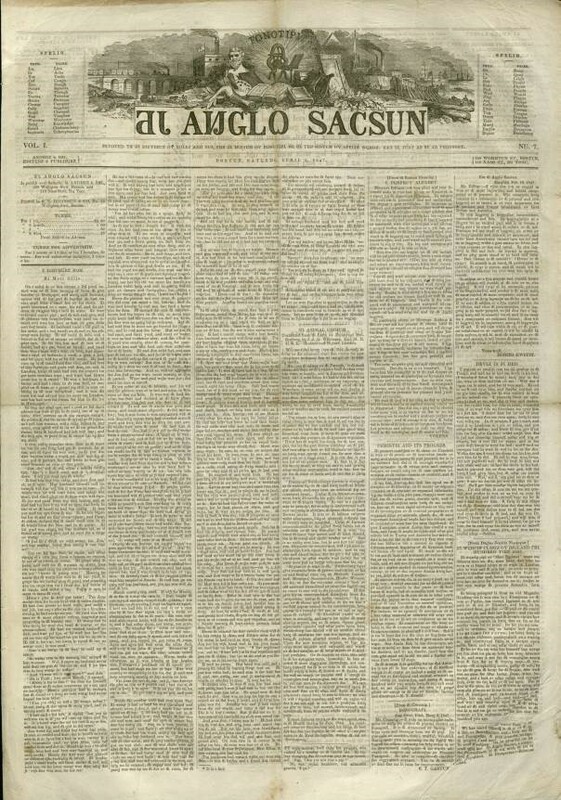 An unusual item from the Indiana State Library’s original print newspaper collection is Di Anglo Sacsun (ISLN Newspaper Room), a newspaper published in Boston from 1846-1848. Our holdings include a scattering of newspaper issues from the publication period of this phonetically-spelled newspaper. The paper states its mission as being “Devoted to the diffusion of knowledge and news, through the medium of phonotypy, or the true system of spelling words: that is, just as they are pronounced.” It was thought that material printed in phonetic spelling would be easier for non-native English speakers, or those who learned the English language by rote, to master. This newspaper is written using the International Phonetic Alphabet (IPA) which utilizes syllables that stand for different phonetic sounds that are common to all spoken languages. On the left and right sides of the newspaper’s masthead are printed keys to pronunciation. The International Phonetic Association (International Phonetic Association) is devoted to representing and promoting the International Phonetic Alphabet and championing its use by linguists, speech-language pathologists, classically trained singers, actors, and others. 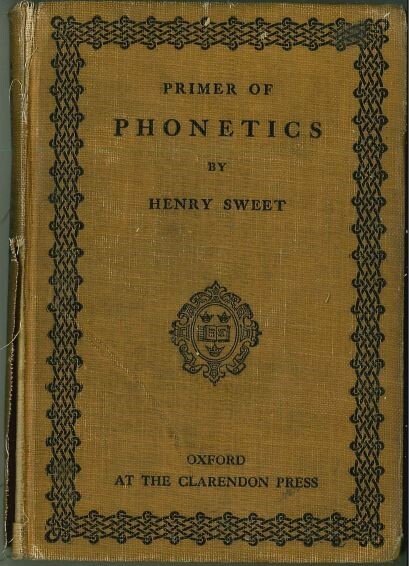 Another item in the state library’s collection that utilizes the IPA is the Primer of Phonetics by Henry Sweet (ISLM 414 S974P). 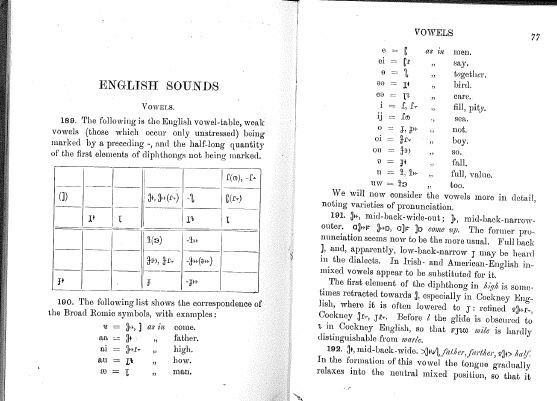 This book, published in 1906, serves as an in-depth phonetics pronunciation key. 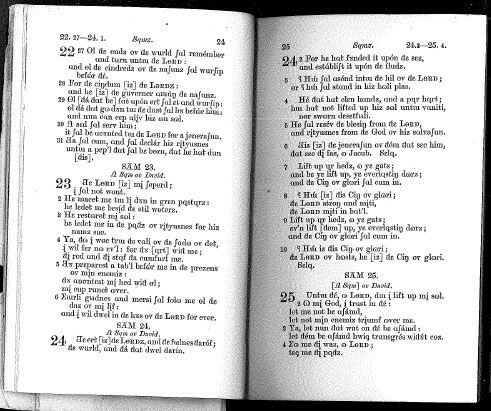 Pages from the Primer of Phonetics showing English sounds. We also have a phonetic translation of the Book of Psalms from the Bible, De Buc ov Samz From de Oturizd Verzun: Printed Foneticali in Paraleliz’mz (ISLM BS 1422 1849). Although the phonetic alphabet did not become a popular spelling format for newspapers, it is used in dictionaries with pronunciation keys and serves as a standardized approach to language learning. 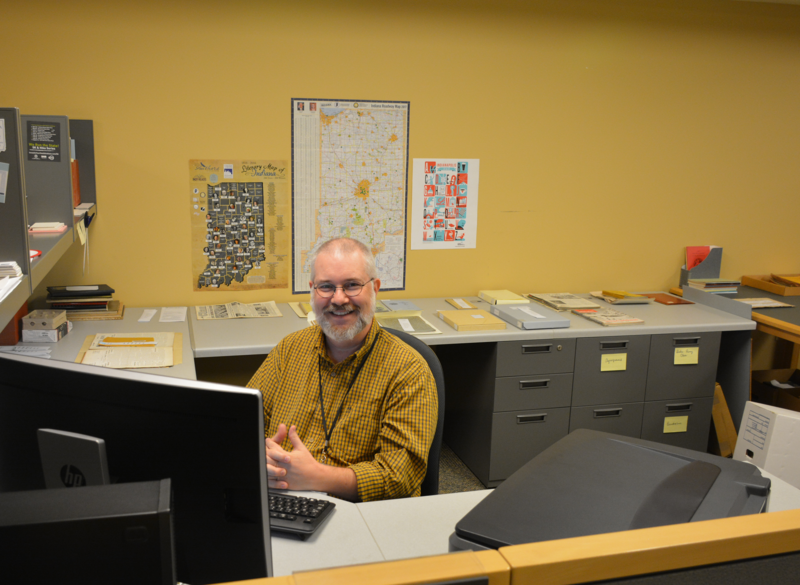 This blog post was written by Leigh Anne Johnson, Indiana Division librarian, Indiana State Library. For more information, contact the Indiana State Library at (317) 232-3670 or “Ask-A-Librarian” at http://www.in.gov/library/ask.htm. 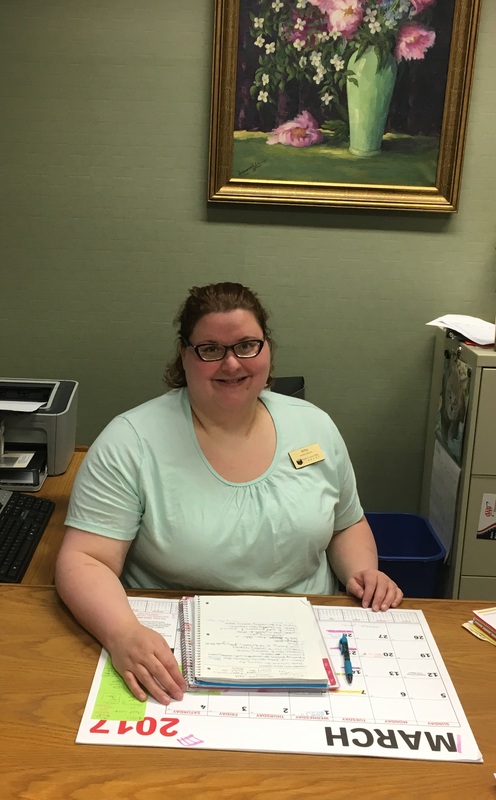 Recently, Southeast Regional Coordinator Courtney Allison visited the Fayette County Public Library to chat with new director, Betsy Slavens. 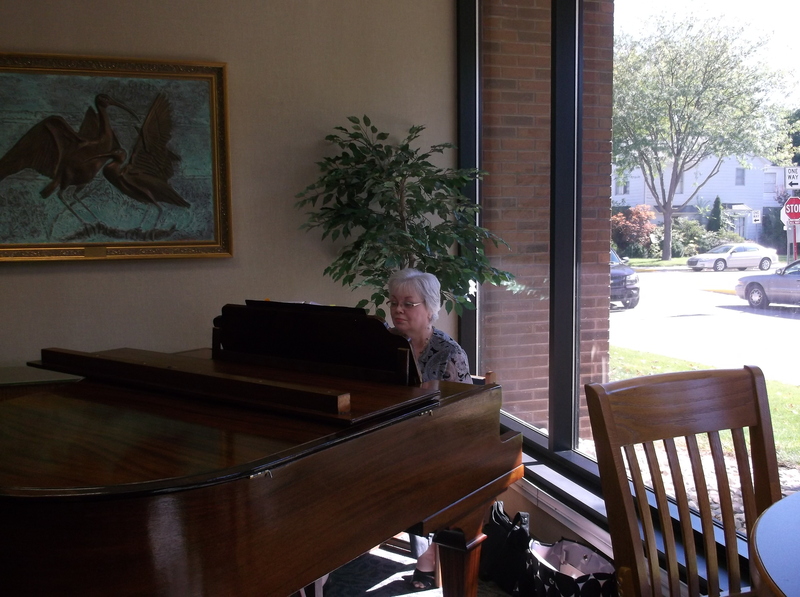 Betsy was the director at the Benton County Public Library before heading to Fayette County. No. I am originally from Greenwood, Ind. I have always been a reader. When I was a child, my mom and dad would take me to two different library systems on alternating days because I could never get enough books. Even now, I always carry at least one book with me because I never know when I might get a spare minute. Working in a library seemed like a solid life choice. I love being the boss! No really. 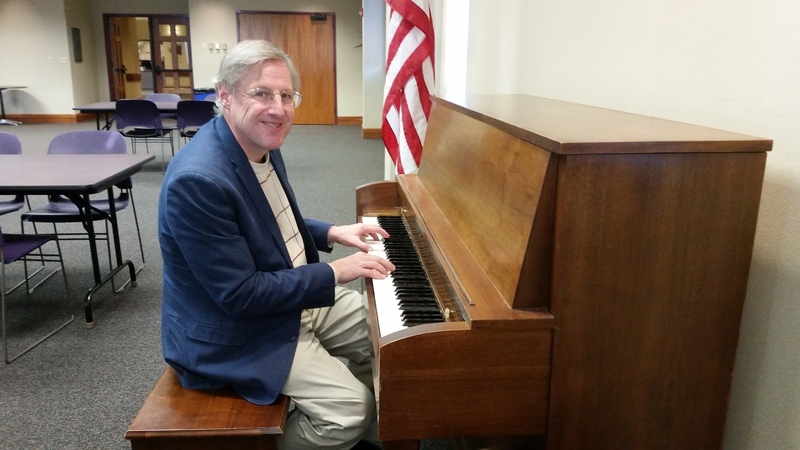 I really enjoy helping the staff meet their potential, advocating for the library in the community and helping library users discover something new and wonderful within our walls. I guess that’s actually three favorite things. That’s a hard question. So, I’m going to go with my top five desert island picks. I’d say, “Anne of Green Gables,” “A Wrinkle in Time,” “Special Topics in Calamity Physics” by Marisha Pessl, “A Confederacy of Dunces” by John Kennedy Toole and “Lovers at the Chameleon Club, Paris 1932” by Francine Prose. Mr. Rogers because he was gentle, kind and thoughtful. I’m not sure what kind of dinner we’d have, but he was a vegetarian and I would like to respect that. I’d like to dish with Ernest Hemingway about cats over a couple of cocktails. Isn’t it fun to think of Ernest Hemingway going gaga over kitties? Jane Austen would be a hoot, too. We could go to the mall food court and people watch; it’d be a blast. I hope these are all individual dinner dates and not one big party. Besides reading, I enjoy going to food and beer festivals and taking road trips with my friends, travelling throughout Europe with my husband, watching British TV shows with my old man cat sitting on my lap, sewing, knitting, daydreaming and napping.